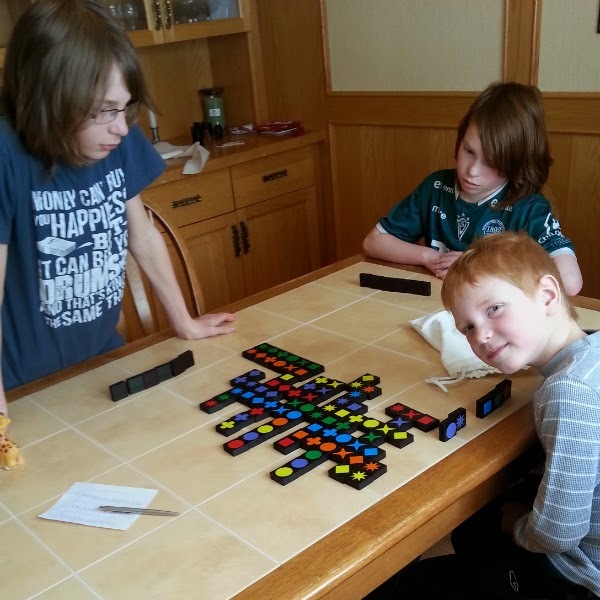 If you've been reading my blog for any length of time, then you probably know I spend my days in the company of the four kids I babysit, while my own kids are in school. I have been around little ones for almost 13 years straight, and I have noticed that they really like for things to be fair, especially when it comes to food. Don't give one child two pieces of a broken cookie and the other child a full cookie unless you're willing to hear, "Why does he get two cookies?" Be sure the pieces of cake you cut look pretty much the same, or there will be complaints about someone getting a bigger piece. And for goodness sake, make sure when you give out a handful of crackers that everyone either has the same number, or they have so many they're not going to bother counting! They like things to be fair when it comes to taking turns with the best toys too. Everyone needs to have the same number of turns, and for the same amount of time. While I have never actually set a timer to be sure each child gets 5 minutes with the coveted toy, I know mothers who do in order to keep the peace and save their own sanity. While we as adults know that fair doesn't always mean exactly the same, we like for things to be fair too. We want people to be paid a fair wage, for companies to be fair and honest in their advertising, for sports teams to follow the rules. We want to be given the same opportunities as others, regardless of our race, religion or gender. When these things don't happen, we too are quick to say, "That's not fair!" Sometimes 'not fair' works in our favour, and then we're not quite so quick to protest the unfairness of the situation. That is certainly the case when it comes to our salvation. Jesus was perfect, completely without sin, and it was He who paid the price for our sins. He had never done anything wrong, and yet He was brutally beaten and murdered. The Bible says, "For the wages of sin is death," (Romans 6:23). It also says, "The Lord looks down from heaven on all mankind to see if there are any who understand, any who seek God. All have turned away, all have become corrupt; there is no one who does good, not even one" (Psalm 14:2,3). Everyone is turned away from God, everyone is corrupt, and no one does good. That is the natural inclination of every human heart, and for that we all deserve death. That would be the fair outcome of our lives. But that isn't what we get. Jesus came for us. He came to rescue us and free us from that death sentence. How? "God made him who had no sin to be sin for us, so that in him we might become the righteousness of God"(2 Corinthians 5:21). Because Jesus was perfect, He alone was qualified to be the sacrifice that would pay for our sin. He took the sin of the entire world on Himself and paid the penalty of death for it. That's the most unfair transaction ever! As Good Friday approaches this week, we should remember how completely unfair it was that Jesus suffered as He did, and that He did it entirely for our benefit. 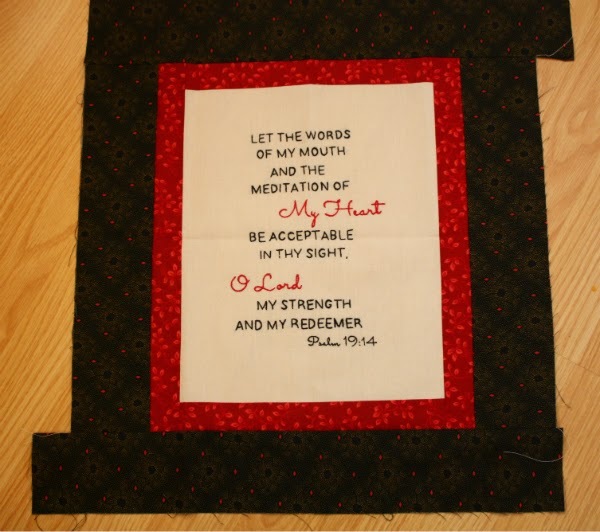 I'm working on a couple of things this week, one of which is this rather neglected Psalm 19 mini quilt. I finished the embroidery months ago, then let it just sit and wait...and wait...and wait. So a couple of weeks ago I pulled it out again and added the borders. I may end up trimming the black border a little - I think it's wider than I would like. 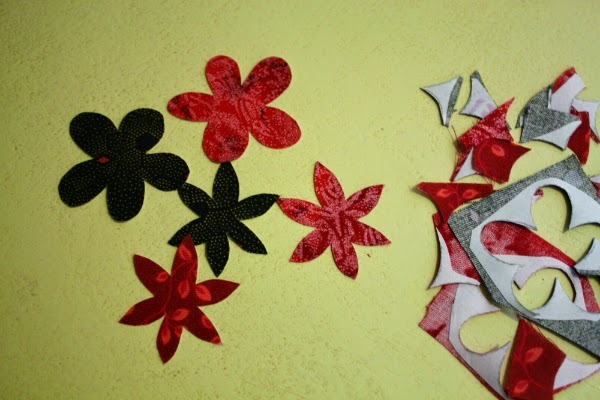 Now I am getting the flowers ready to fuse in place and then finish with a little hand stitching. 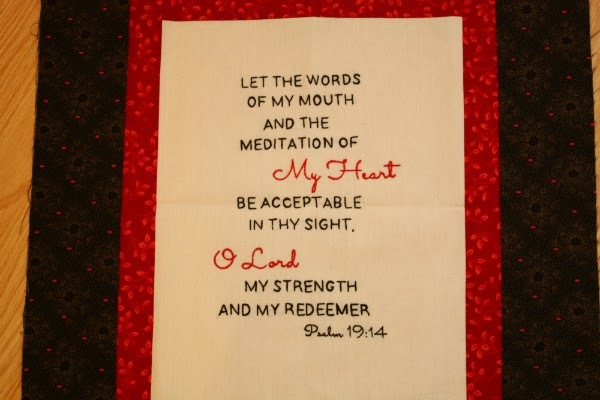 You can see my first Psalm 19 mini quilt here and it is for sale in my Etsy shop. I don't have many Kona cotton colours yet, but I'd like to be able to keep track of which ones I do have. I figure knowing what the names are for these colours will make it easier should I want to reorder one of them in the future. 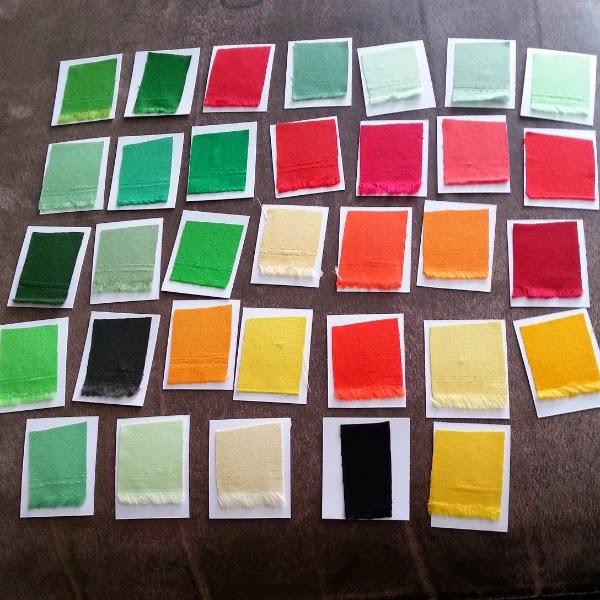 So I made my DIY version of colour swatches yesterday by snipping a little piece off each fat quarter, gluing it onto a piece of card stock and writing the name on the back. We had another blizzard Monday evening into Tuesday. 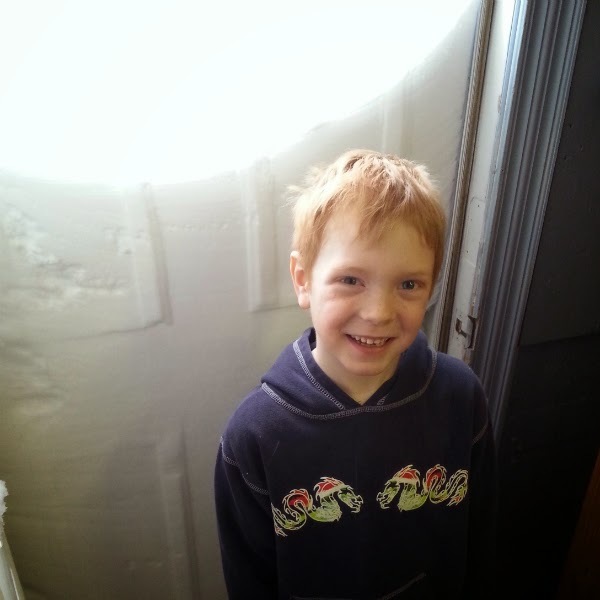 When I opened the basement door Tuesday morning I discovered a drift that was higher than Nathan! We are under a blizzard warning again tonight, with a possible 30+cm more snow before all is said and done. Hopefully that will be the last of it. I'm a little jealous of all the flower pictures I've been seeing on IG from people living in more southerly climates. Our ground is buried under several feet of snow, so it will be a while yet before there are any flowers around here, unless they're made of fabric! 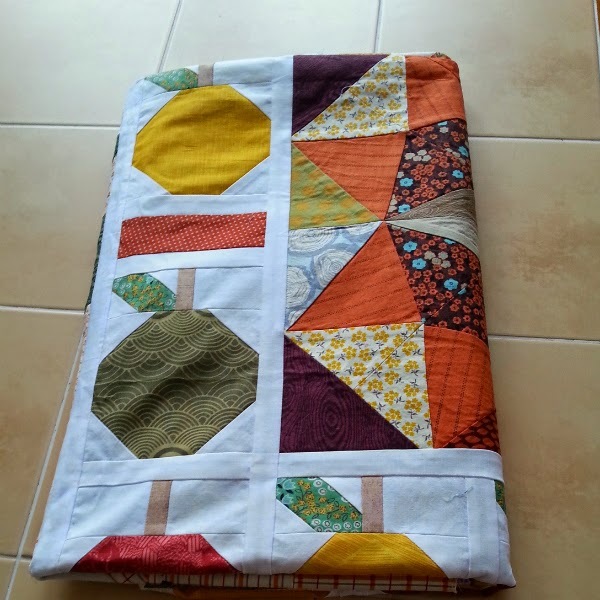 Another round of the Round Trip Quilts round robin bee is finished. This time I had the quilt started by Kim, of Ties That Bind Quilting. 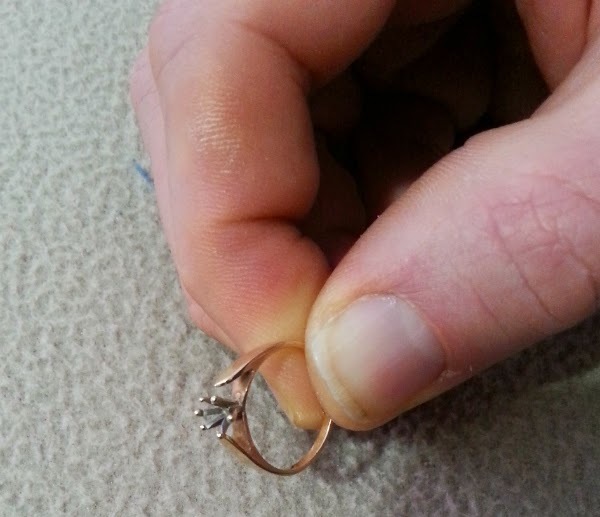 Here is what it looked like when it arrived here from Jennifer. I stared at this quilt for a long, long time trying to figure out what I could possibly do next. 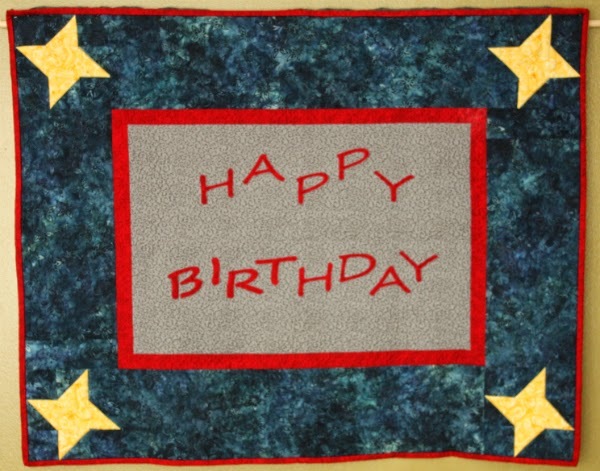 The whole quilt felt very busy to me, which is exactly what Jennifer had said when she first saw it. She added the improv flying geese to two sides, which I found helped to give the eye a resting place, so I wanted to add something to the other two sides that would also have a lot of background space. I thought some drunkard's path circles would fit the bill. Kim had sent along some Kona Sky for the background, to help the whole quilt have a little unity, so I went to my stash to see what fabrics I had that would work with her colour palette. 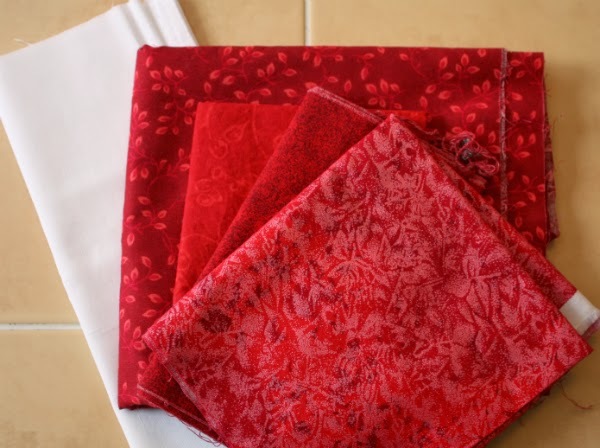 To my surprise I actually found nine fabrics that blended nicely with what was already in the quilt. My stash may not be very large, but I'm often surprised by what I find in there! You can read more about the making of the circles in this post. 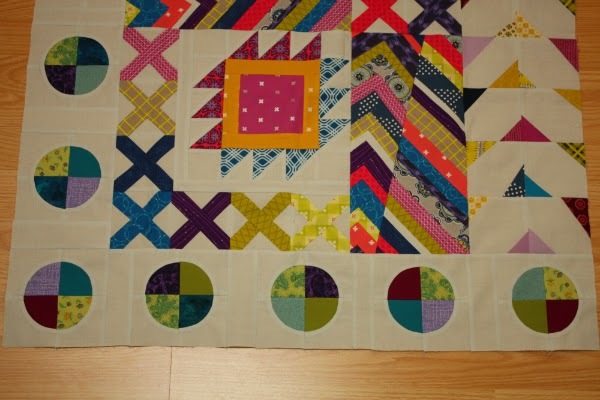 I'm pleased with how they look now that they're pieced onto the main piece of Kim's quilt. I sure hope she likes them too! 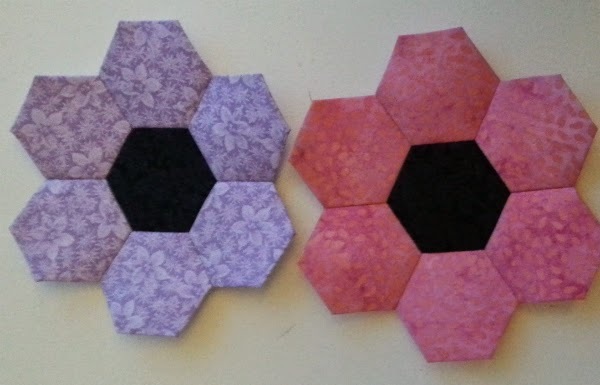 The two other pieces are still loose, waiting for someone else to fit them into the design of the quilt. I tried to incorporate at least one of them, but nothing I tried looked right. 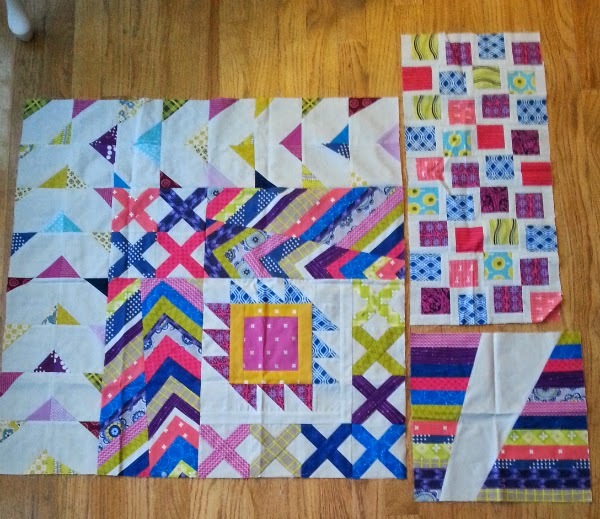 It will be fun to see how they eventually make their way into the finished quilt. 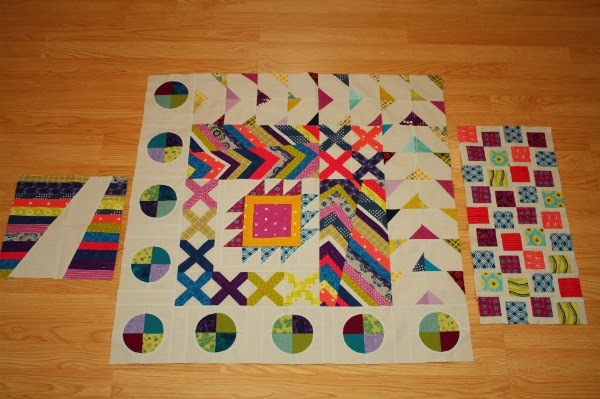 We are halfway through the rounds for this project now and the quilts are all looking amazing! 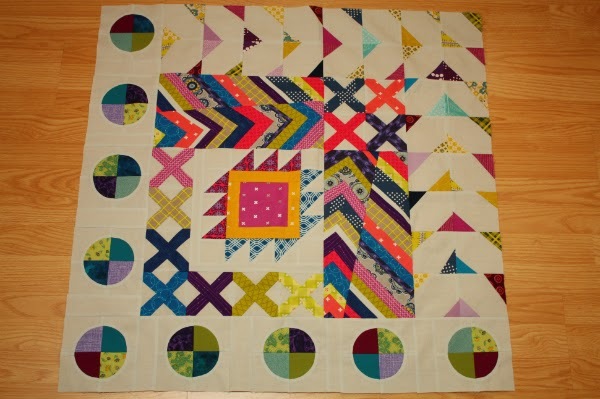 If you'd like to check out the progress of all the others, check out Jennifer's Round Trip Quilts page.